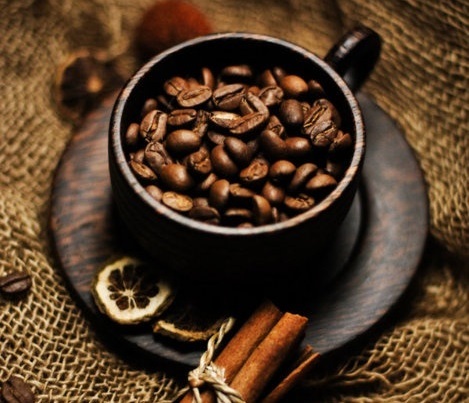 The history of coffee is a topic that true coffee lovers should be interested in,and make a point of looking into because it is simply fascinating. Around the period of A.D 850 legend has it that a lone shepherd and his herd came across an exotic new plant that was growing upon the slopes of a hillside. Before the shepherd could intervene a number of his herd had started to chew away at this newly discovered delicacy. After about a quarter of an hour the shepherd began to notice that the entire flock were acting in an extremely lively manner. They appeared to be not only very alert but also incredibly hyperactive. The shepherd being slightly weary and more than a little tired decided that he also should sample the berries and see what effect they would have on him. He secretly hoped that the dramatic effect that he had observed the berries to have on his flock of sheep would also be his experience. 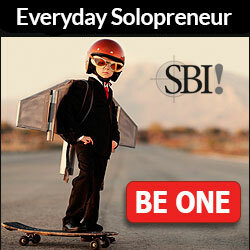 Just as had happened with his herd, he too started to feel the benefits and in a matter of minutes he also was buzzing. The exhilaration prompted him to bring the berries to a monk in a nearby monastery. But the holy man disapproved of their use and threw them into a the fire, from which an enticing aroma billowed. The roasted beans were quickly raked from the embers, ground up, and dissolved in hot water, yielding the world's first cup of coffee. Its extensive use then took a grip in the Ethiopian lands before then migrating on to the Arabian outlands. Here it was to be held for many years as a sacred substance but was eventually to be unlawfully exported by a merchant called Baba Budan. Word of its qualities were soon to spread and within a few years, coffee was to emerge as one of the most valued commodities of all time. 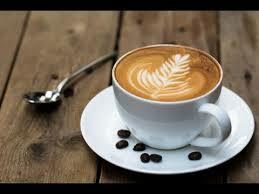 Coffee, normally taken hot, is made from the coffee plant’s roasted seeds, called coffee beans. 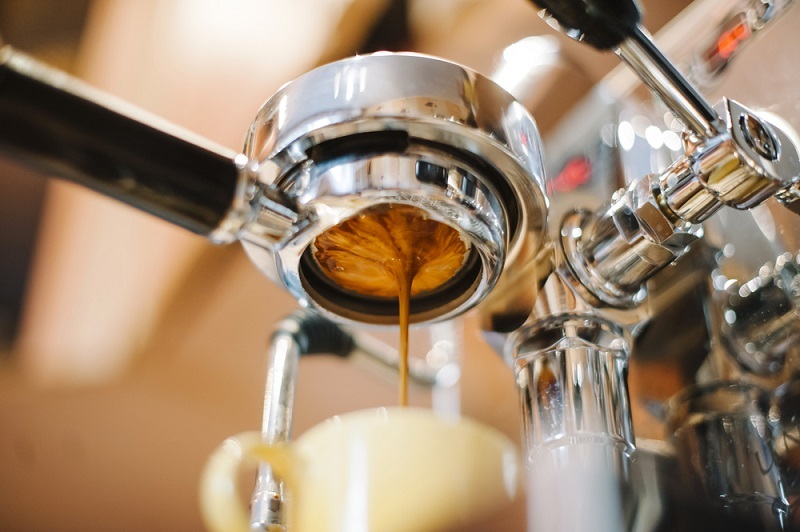 Thought of as the second-most traded commodity on the planet, next to petroleum, it is hailed as modern man’s chief source of caffeine for that extra burst of energy. 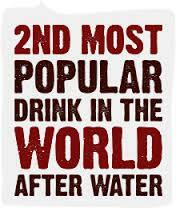 The perceived benefits and hazards of this potent drink remain the topic of debate amongst coffee drinkers worldwide. How did the word “coffee” come into being? The term “coffee” is known by many names among various peoples of the world. The Turkish term for it is “kahveh,” while the Arabic word for it is “qahwa.” Its origin is still unknown, although some believe that the drink possibly came from the Kaffa region in Ethopia, where the plant originally named “bunna,” the precursor of coffee, came from. Coffee drinking was outlawed in Mecca in 1511, and in Cairo in 1532? Due to the immense popularity of coffee, the law was rescinded soon after. 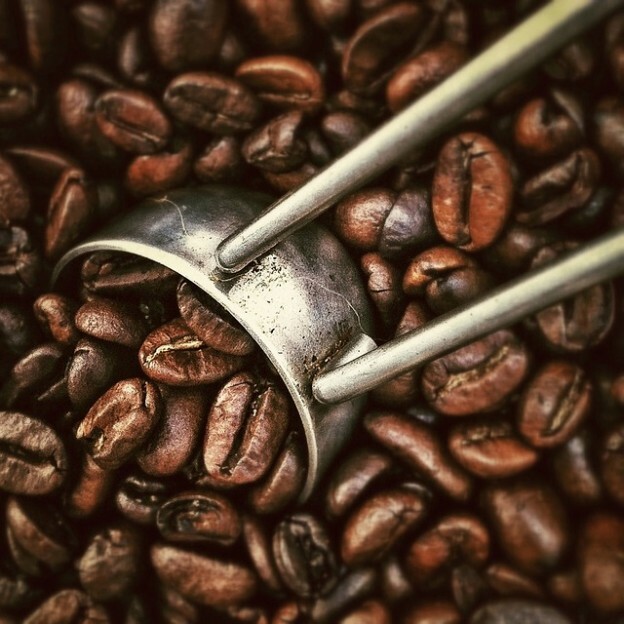 From then on, owing to the pioneering efforts of the British and Dutch East India companies, coffee found its way to Europe in the sixteenth century. One of the two main species of the coffee plant is “Coffea Arabica,” its name implying that its origin was the Arabian Peninsula, but it is indigenous in Ethiopia. Despite the fact Arabica is more prone to disease, coffee lovers consider it to have more flavor than “coffea canephora” (robusta), which holds twice as much caffeine. However, the latter is proven to be a natural insecticide and stimulant, growing in places where the former cannot grow. It is thus used as an inexpensive substitute for Arabica in commercial coffee blends and in almost all instant coffee products. Comparable to Arabica, robusta is more bitter, with a burnt-rubber taste and smell. Fine quality Robusta are used in espresso blends for a foamy effect and for better affordability. In fact, Italian espresso blends are made from dark-roasted Robusta. Some blend varieties are so popular and in demand that they command a higher price, some examples of which are the Jamaican Blue Mountain and the Hawaiian Kona coffees. Very often, these beans are mixed with other, less-expensive varieties and the term blend is added to the label, such as “Blue Mountain Blend” or “Kona Blend”. Coffee can do more than just help you get through your day! Its curious that the vast majority of folk have no idea of the different tastes and delights that this king of all drinks has to offer us. One of the swiftest growing trends of the last few years has to be the rising popularity of buying coffee via the internet. Never before in history have we been able to so easily get hold of such a large and fantastic variety of blends, tastes and tantalizing aromas from around the world. With the help of the web, trekking around the local neighbourhood to try and find some new exciting coffee blends has became a thing of the past. Sitting in your pyjamas,you can now search out an almost infinite variety of coffees from all over the world and order them at the click of a mouse. 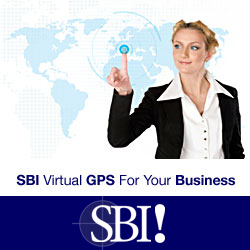 Via the web we can make a point of recording blend, country, and from exactly whom we purchased from. Incredible to believe but each year we drink an amazing five hundred billion cups and there are those among us who would cry at the thought of starting their day without it. Despite the fact tha coffee is largely known as a sleep suppressant, there are those who consider coffee to have many health benefits. It is thought that people who suffer from asthma and enjoy of the beverage have at least 25% less symptoms which may be due to a substance in coffee called theophylline. This is known as a bronchodilator and quite simply it is thought to help individuals who suffer with the disease to breath with a little more ease. Coffee drinking on a daily basis is also believed to help lower your chances of developing colon cancer by a figure also in the region of about 25%. This may be due to the fact that coffee helps to keep you regular. The consumption of coffee can lead to iron deficiency anemia in mothers and infants.It also interferes with the absorption of supplemental iron. 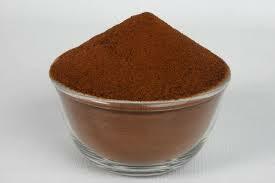 Interference with iron absorption is due to the polyphenols present in coffee. Although the inhibition of iron absorption can cause an iron deficiency, iron is considered a carcinogen in relation to the liver. Polyphenols contained in coffee are therefore associated with decreasing the risk of liver cancer development. Coffee's negative health effects are often blamed on its caffeine content. Research suggests that drinking caffeinated coffee can cause a temporary increase in the stiffening of arterial walls. Caffeinated coffee is not recommended for everybody. It may exacerbate preexisting conditions such as gastroesophageal reflux disease, migraines, arrhythmias, and cause sleep disturbances. Variations in findings on health can be at least partly resolved by taking into account the method of preparation. Coffee prepared using paper filters removes oily components called diterpenes that are present in unfiltered coffee. Two types of diterpenes are present in coffee: kahweol and cafestol, both of which have been associated with increased risk of coronary heart disease via elevation of low-density lipoprotein (LDL) levels in blood. Metal filters, on the other hand, do not remove the oily components of coffee. 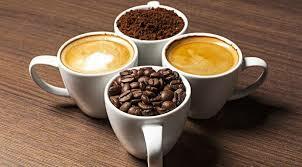 Over five hundred billion cups of coffee are consumed each year making it the most popular drink on this earth. For centuries, this aromatic, spirit-lifting drink has been the beverage to serve at any and all events. Many board meetings and friendships have thrived over a cup of coffee. Coffee is generally propagated by seeds. The most common method of planting coffee is to put 20 seeds in each hole at the start of the rainy season;naturally half the seeds are eliminated naturally. A more efficient method of growing coffee, used in Brazil, is to raise seedlings in nurseries that are then planted outside at six to twelve months. 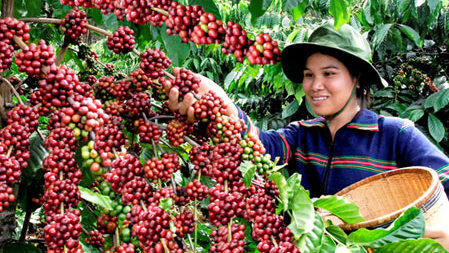 Coffee is often inter-cropped with food crops, such as rice,beans, or corn during the first few years of cultivation. Two of the most commercially cultivated species of the coffea plant that produce the coffee beans that the world's population consumes, are Robusta and Arabica. Gourmet coffee is made from the top tier coffee beans from the arabica coffea plant. These top tier arabica coffea plants are typically grown at very high altitudes (above 3000ft) with ideal soil and climate conditions. 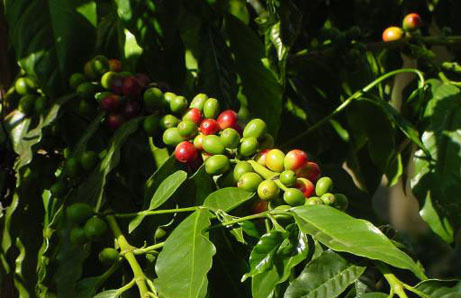 The coffee beans produced have fuller flavors, are more aromatic, and have less caffeine in them than other varieties of coffee beans such as Robustas. The coffee beans of arabica coffea plants grown at lower altitudes are still noted among consumers as having richer flavours than the flavors produced by Robusta coffee beans. Nevertheless, it is only the top tier arabica coffee beans that are considered to be Gourmet, and thereby from which gourmet coffee is derived. 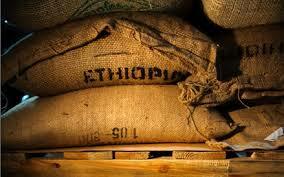 Coffee is grown extensively in fifty-three countries across the equator. Specialty gourmet coffee is all the rage among coffee drinkers today. In fact, statistic show that it is one of the fastest growing in food retailing, netting approximately $8.5 billion a year. People enjoy the taste of the sophisticated beans used in the making of this delightful gourmet drink. The beans are grown at very high altitudes on Arabic trees and feed on volcanic ash. A cool climate and lots of moisture result in a high quality bean group. The soil the beans are grown in produces the very distinct flavours of the gourmet beans. Gourmet coffee has a more balanced flavour and richer taste than the standard mass-produced coffee. 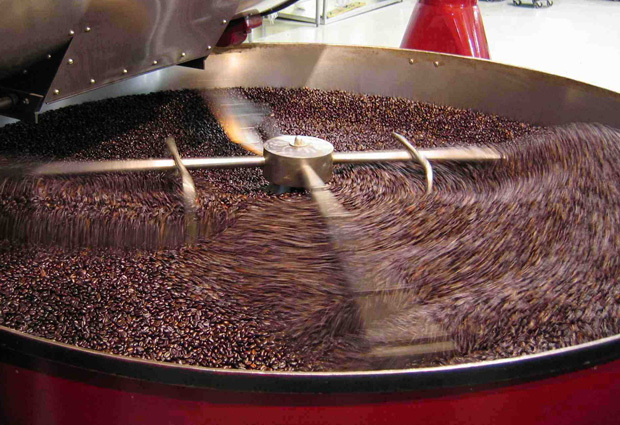 The beans go through a rigorous process of certification that is very strict to help keep the quality high. To help keep standards high, the Speciality Coffee Association of American was created in 1982, for the speciality coffee trade. Gourmet coffee can be found in almost all grocery stores, specialty shops, restaurants and coffee shops. If you happen to be a true connoisseur, you might compare gourmet coffee to a great bottle of wine. 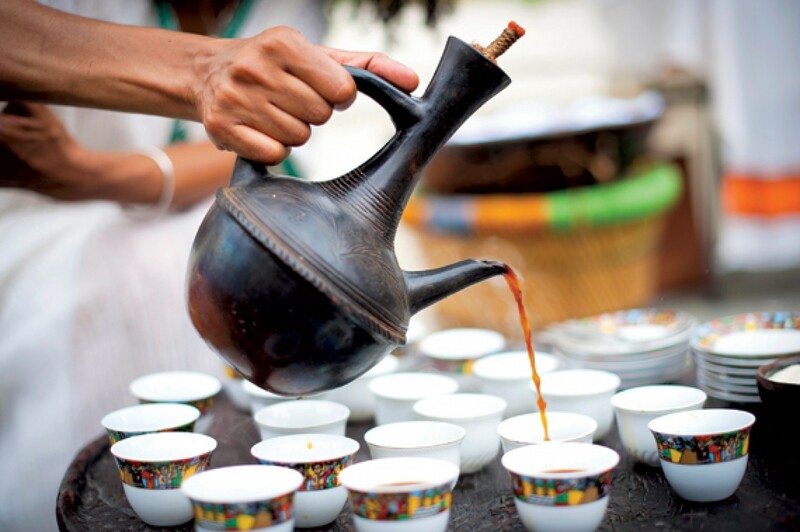 The irony of the history of coffee is that the plant grew naturally in Ethiopia, but once transplanted in Arabia the Arabic business men took control and made a good profit from the coffee idea, but it took a long time for a country to adapt it as a proper drink. 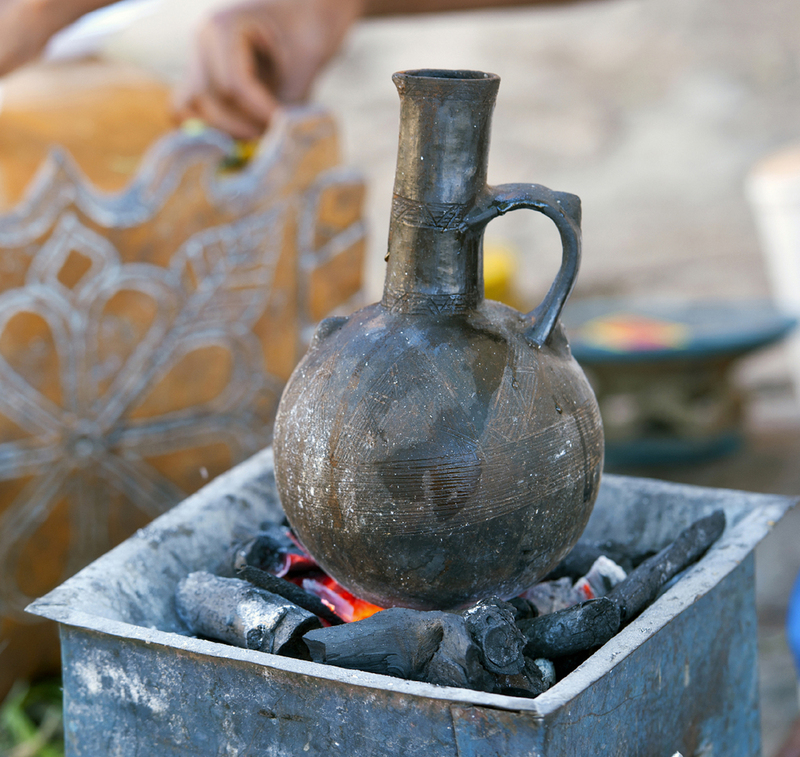 And that was until the Turks started drinking coffee in their everyday life, often adding spices such as clove, cinnamon, cardamom and anise to the brew. That's why we have Turkish coffee ! Considered the second-most traded commodity in the world, next to petroleum, it is hailed as modern man’s chief source of caffeine for that extra burst of energy. The perceived benefits and hazards of this powerful drink remain the subject of debate among coffee drinkers worldwide. 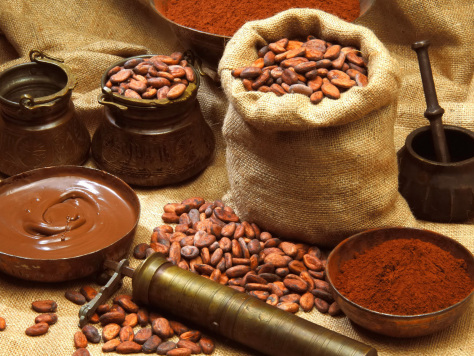 From the Muslim world, coffee spread to Italy. The thriving trade linking Venice and North Africa, Egypt, and the Middle East brought many goods, including coffee, to the Venetian port. From Venice, it was introduced to the rest of Europe. Coffee became more widely accepted after it was deemed a Christian beverage by Pope Clement VIII in 1600,despite appeals to ban the "Muslim drink." The first European coffee house opened in Italy in 1645. The Dutch were the first to import coffee on a huge scale, and they were among the first to defy the Arab prohibition on the exportation of plants or unroasted seeds when Pieter van den Broeck smuggled seedlings from Mocha, Yemen, into Europe in 1616. The Dutch later grew the crop in Java and Ceylon. The first exports of Indonesian coffee from Java to the Netherlands occurred in 1711. Through the efforts of the British East India Company, coffee became popular in England as well. It came to England in 1598, via the Italian “caffe.” Oxford's Queen's Lane Coffee House, established in 1654, is still in existence today. Coffee was introduced in France in 1657, and in Austria and Poland after the 1683 Battle of Vienna,when coffee was captured from supplies of the defeated Turks. So beat those morning blues with an adrenaline-pumping sip of this favorite drink among caffeine addicts worldwide. 1) Coffee is considered an aphrodisiac. Because it contains a high dose of caffeine and other various alkaloids, studies have shown that coffee can increase stamina and the overall length of intimate sessions. 2) Although coffee has been a part of the Arab culture for thousands of years, it did not become part of the western world until the 1500s. Before that time, priests believed that coffee was a drink of the devil. Pope Clement VIII finally ended this line of thinking by taking a sip of coffee and then giving it his blessing. 3) Japan’s official Coffee Day is October 1st. 4) A single acre of coffee trees can yield close to ten thousand pounds of coffee cherries. Once they are milled or hulled, there are still almost two thousand pounds of coffee beans. 5) Forty-nine of the fifty states grow absolutely no coffee. The only state that grows coffee is Hawaii. Additionally, the only United States territory that grows coffee is Puerto Rico. 6) Germany is the second largest coffee consumer in the world. Forty-three percent of Germans add sweetener to their coffee, while only twenty-seven percent of Americans (the number one consumer of coffee) use any kind of sweetener in their coffee. 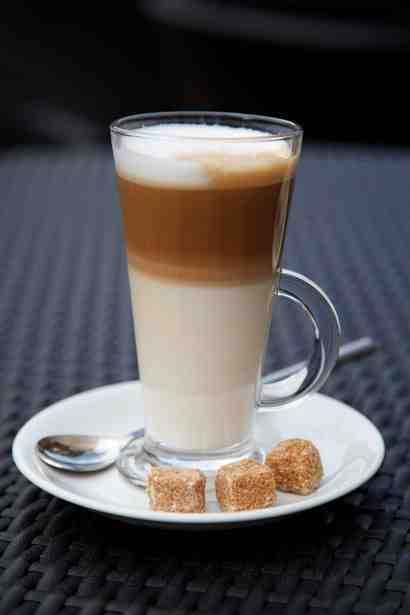 7) The English word coffee is derived from the Latin word Coffea. Coffea is the Latin name for a genus of trees. 8) Every single one of the fifty-three countries that grows coffee is located along the equator, between the tropic of Cancer and Capricorn. 9) On average, people who purchase their coffee from drive-through windows before work will spend around forty-five hours every year waiting in line for their coffee. 10) Petroleum is the only product that is traded more heavily than coffee. The amount of coffee produced around the world is close to six million metric tonnes.